Exceptional End unit at the Presidio Yacht Club. 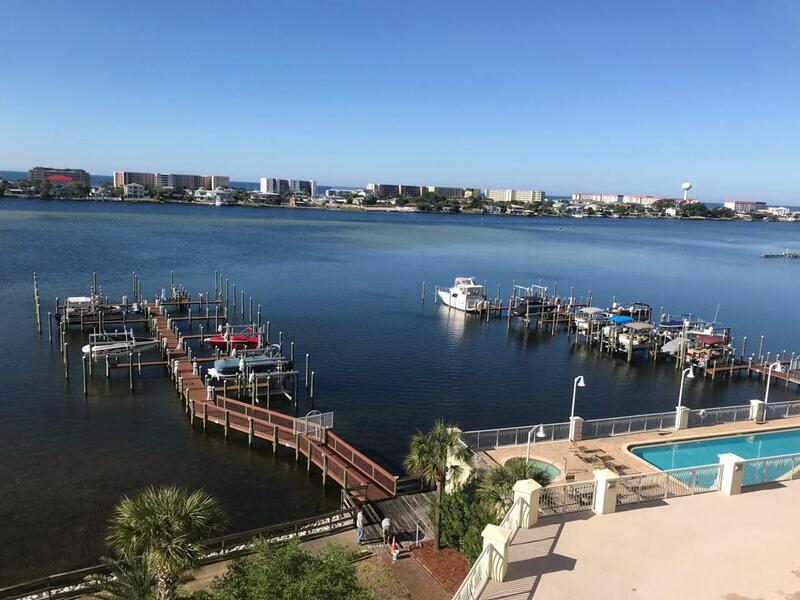 Fabulous views of the Santa Rosa Sound and the Gulf of Mexico. 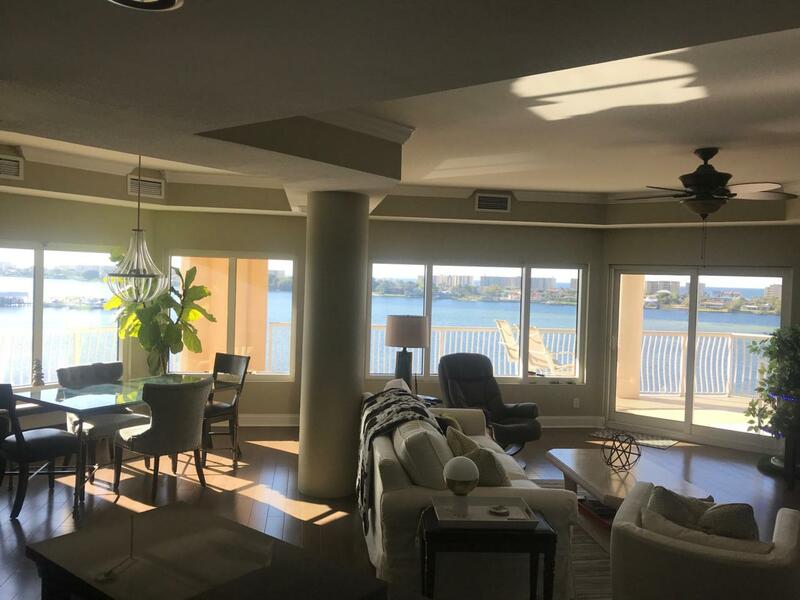 This unit offers a breathtaking panoramic water view from the moment you step inside. The wrap around balcony is the perfect place for outdoor living. 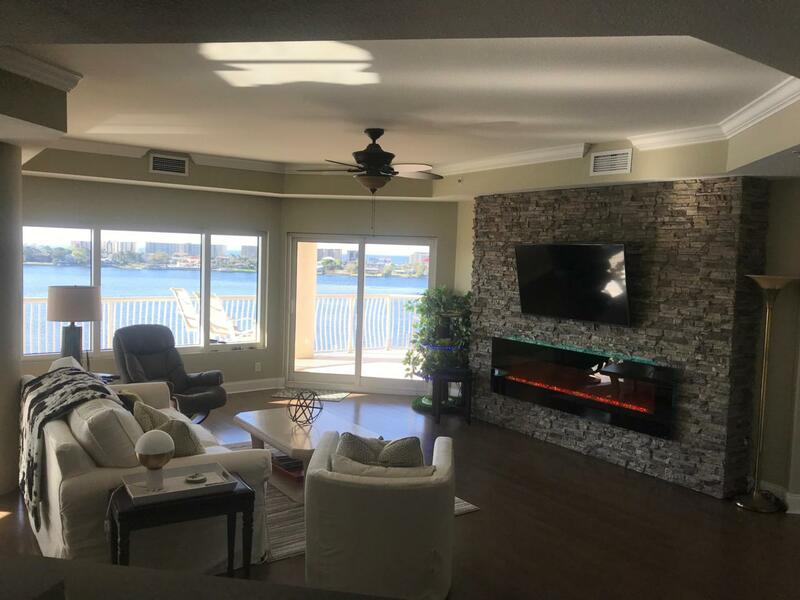 The Presidio is just minutes away from vibrant restaurants and shopping in downtown Fort Walton Beach.This 3 bedroom, 3 full-bath residence has upgrades including wood flooring in the dining room, living room and flows into the large master bedroom. The living room has a spectacular feature wall with a stacked-stone facade and an amazing (almost 7 ft long) electric fireplace with led lighting within.Only the end units have natural light from windows in all bedrooms and a dedicated laundry room.Master bedroom is large and has water views, balcony access, nice walk-in closet and spacious master bath with spa tub, double sinks and over-sized walk-in shower. Bedroom #2 has an ensuite with tub-shower combo. Bedroom #3 is bathed in natural light, has pocket door access to the guest bath and its own private balcony. Kitchen and all bathrooms have Thomasville cabinets and granite countertops. 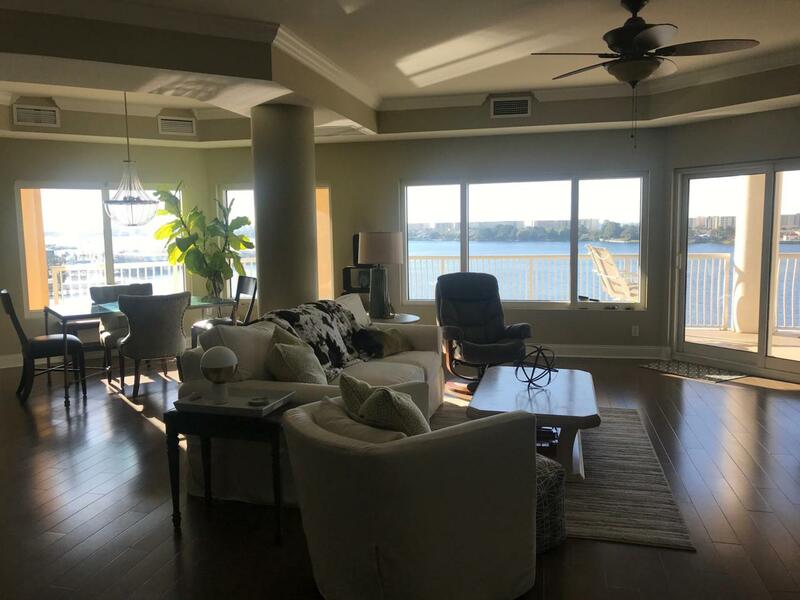 This residence sells with a deeded Boat Slip and a New Lift, 2 parking spaces inside the building, and a large storage room across the hall. Presidio amenities include gated security, huge pool, hot tub, fitness center, media room, grill area, library and guest suite, all first class. Listing courtesy of Rocket Realty Ot Inc.